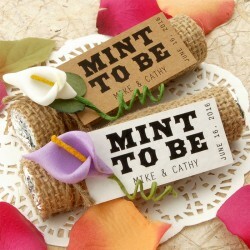 You will receive personalized "Mint to Be" gift tags in the material, lot size of your choice. The gift tags come with untied, jute twine measuring around 20 cm (7.87") in length. 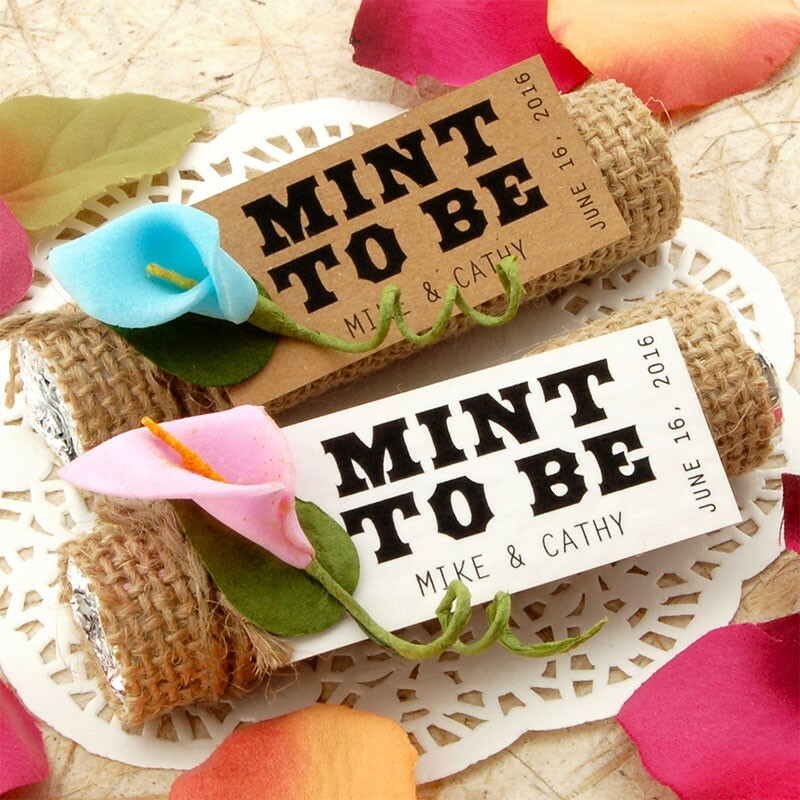 The tags measure approximately 55 mm x 25 mm (5.5 cm x 2.5 cm, 2.2" x 1") at the widest points, are made using 250 GSM (170 lbs) brown premium Kraft card or white hammered card, and the back of the tag is blank. The polo mint candy bar used in the picture (not included with this item) measures 80mm (8cm, 3.15") with a diameter of 19 mm (1.9 cm, 0.75"). Please choose your desired quantity through the drop down list, and send us the names and date for personalization via email upon your purchase and we shall do the rest.